Jeremiah Dixon (July 27, 1733 – January 22, 1779) was an English surveyor and astronomer who is perhaps best known for his work with Charles Mason, from 1763 to 1767, in determining what was later called the Mason-Dixon line. 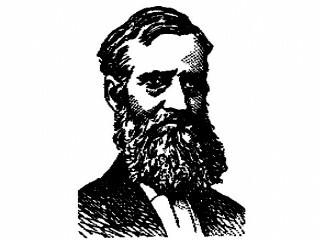 Jeremiah Dixon was an 18th century English surveyor and astronomer who worked with Charles Mason to establish the border between Maryland and Pennsylvania, which became known as the Mason-Dixon line. After Pennsylvania abolished slavery in 1781, the Mason-Dixon line was seen as a dividing point between America's free and slave states, and it is widely theorized that "Dixieland", an affectionate term for the lands south of the Mason-Dixon line, is derived from Dixon's name. Dixon and Mason were hired in England by Frederick Calvert, who held the title of Baron Baltimore and was thus titleholder to Maryland, and Thomas Penn, son of William Penn and hereditary proprietor of Pennsylvania. In Calvert and Penn's employ, their assignment was to go to America and take charge of a survey -- already underway, but progressing slowly -- to accurately determine the border between the two colonies. The matter had been in dispute as early as 1691. Mason and Dixon began their work in late 1763, setting a "line" 230 miles long at 39 degrees, 43 minutes, and 26 3/10 seconds latitude, and completing their task in 1767. Dixon also served as Mason's assistant on a 1761 expedition observing the transit of Venus from the Cape of Good Hope, in hopes that data they collected could be used to calculate the sun's distance from the earth. Working without Mr Mason, Dixon observed another transit of Venus from Norway in 1769. He never married, and when he was not gallivanting across the globe he lived in his birthplace, Cockfield, England, with his brother George. Jeremiah Dixon is one of the two titular characters of Thomas Pynchon's 1997 novel Mason & Dixon. The song Sailing to Philadelphia from Mark Knopfler's album of the same name, also refers to Mason and Dixon, and was inspired by Pynchon's book. View the full website biography of Jeremiah Dixon.